Meh sis is @NipahToYou SHE'S BACK! SO FOLLOW HER BABY!!!!! 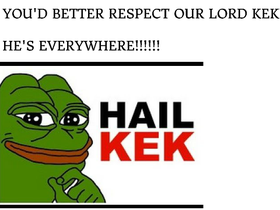 I am also part of the Kekistanian Empire. Mythical Creature Humans Role Play Studio!